Our understanding of foreclosure prevention matters and the needs of our clients throughout the Lakewood area are what separate us from the other firms. 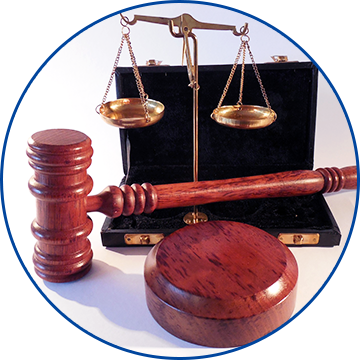 For over 8 years, we have helped clients across the Lakewood area through various legal real estate inquires. Here at The Law Offices of Jonathan P. Shultz, LLC, we have seen and hear countless horror stories about individuals getting lost in the unexpected complexity of real estate law. We aim to be both a guiding hand and a strong representative to the people of the Lakewood area. If you are facing real estate complexities such as foreclosure prevention matters or more, we can help. Our team at The Law Offices of Jonathan P. Shultz, LLC provides a full host of foreclosure prevention services for clients in the Lakewood area. We know that foreclosure prevention matters can be confusing, so we do more than just litigate for our clients. Often times in dealing with foreclosure prevention related matters, we provide extra legal guidance to give our clients the upper hand. 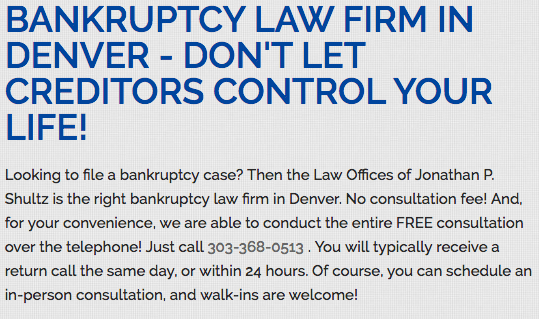 Give us, The Law Offices of Jonathan P. Shultz, LLC, a call today at 303-368-0513. We will help you get closer to achieving your goals and make sure you have the representaiton you need for your foreclosure prevention case in Lakewood.